This map of Winchester, New Hampshire was created in 1887 by George E. Norris and the Burleigh Lithography Company. 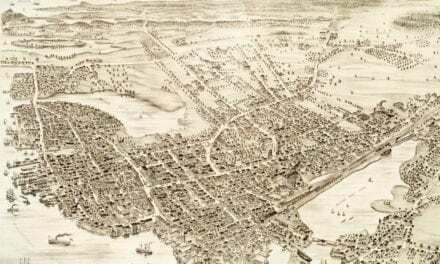 Norris spent weeks analyzing town records to create an outline of the streets and then walked through town sketching buildings, landmarks, and other features. 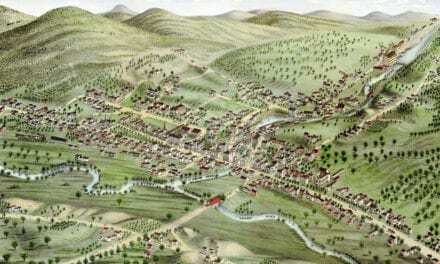 KNOWOL has lovingly restored this historic map to ensure Winchester’s history can be shared with future generations. 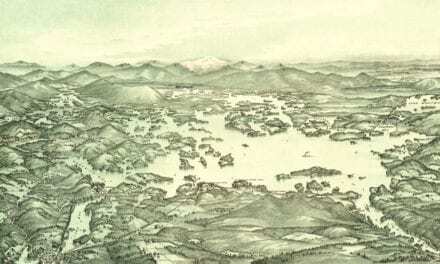 Reproductions of the map are available in our store, and a high resolution image can be viewed below. 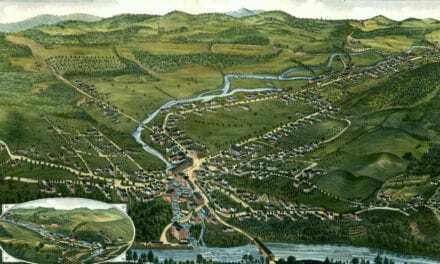 The map shows a bird’s eye view of Winchester, NH in 1887. 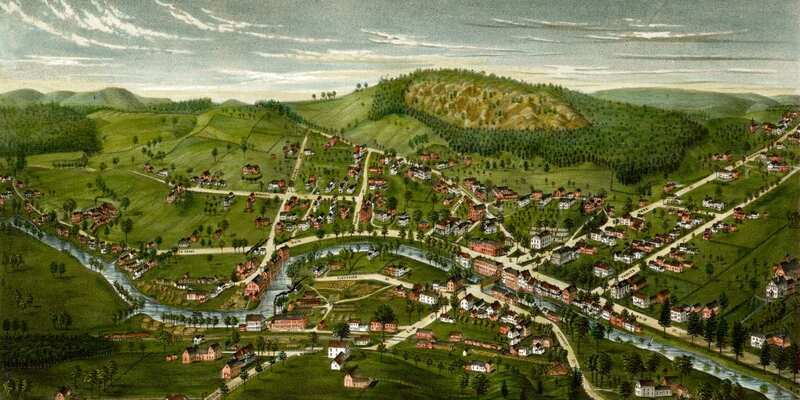 Winchester landmarks on the map include Meeting House Mountain, Winchester Box Manufacturing, Winchester Tannery, Munsell’s Box Shop, and Stone Mountain. 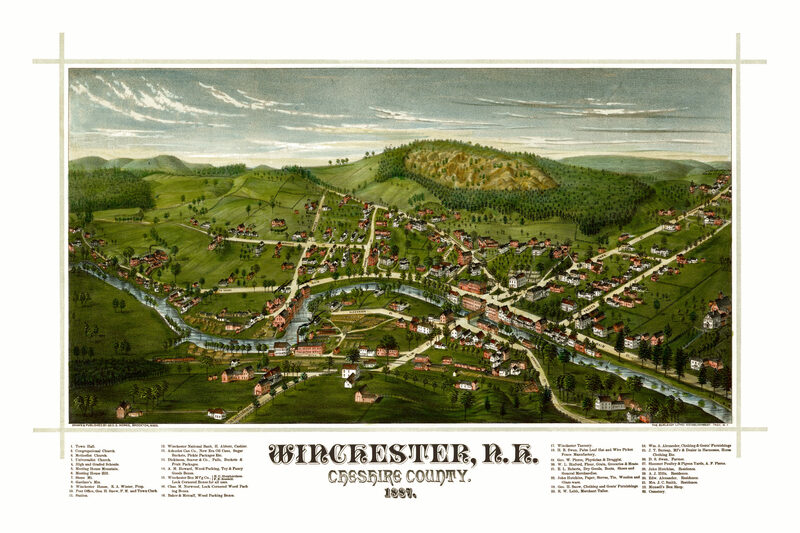 This old map of Winchester will make an attractive addition to your office, library, or den and can even be used to teach children the geography and history of the area. When you’re done exploring, click here to get your copy.